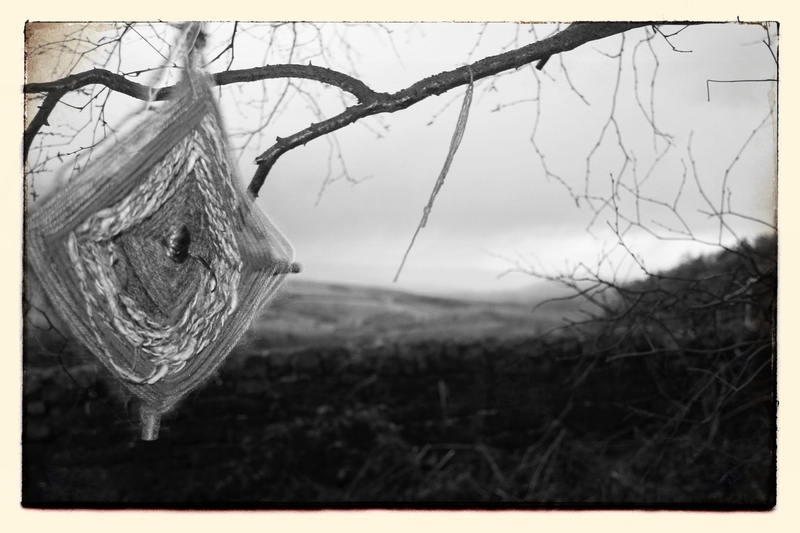 A short pictorial post, following up the previous concerning The Grey Ladies. I developed the two films, a 35mm B/W and an out of date colour 120 film at Photo Parlour in Nottingham. The 120 wasn’t a great success, its very underexposed and anything visible on the images below is forced through Snapseed. The B/W film from the Konstructor Camera is better than the last set and strangely lurches from a little underexposed to a little overexposed. These overlaid 120 shots are from the Grey Ladies. 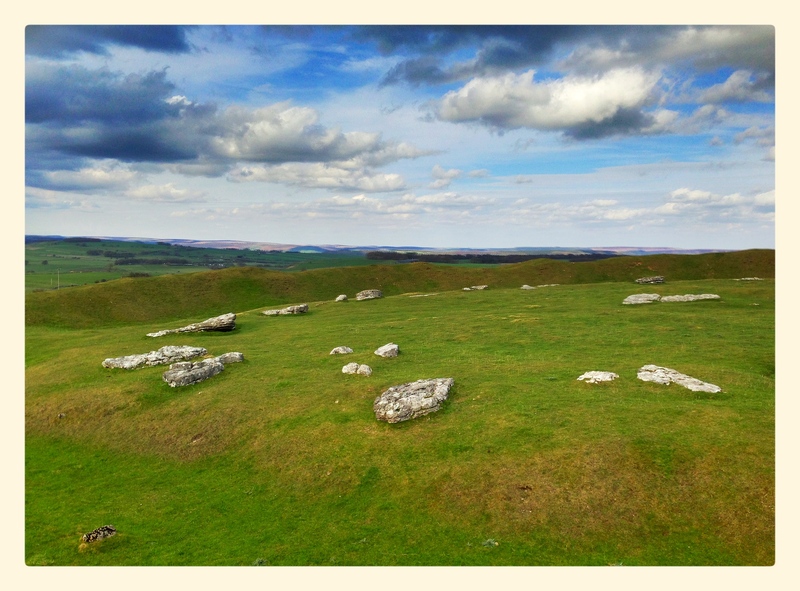 Arbor Low, looking over to the horizon. 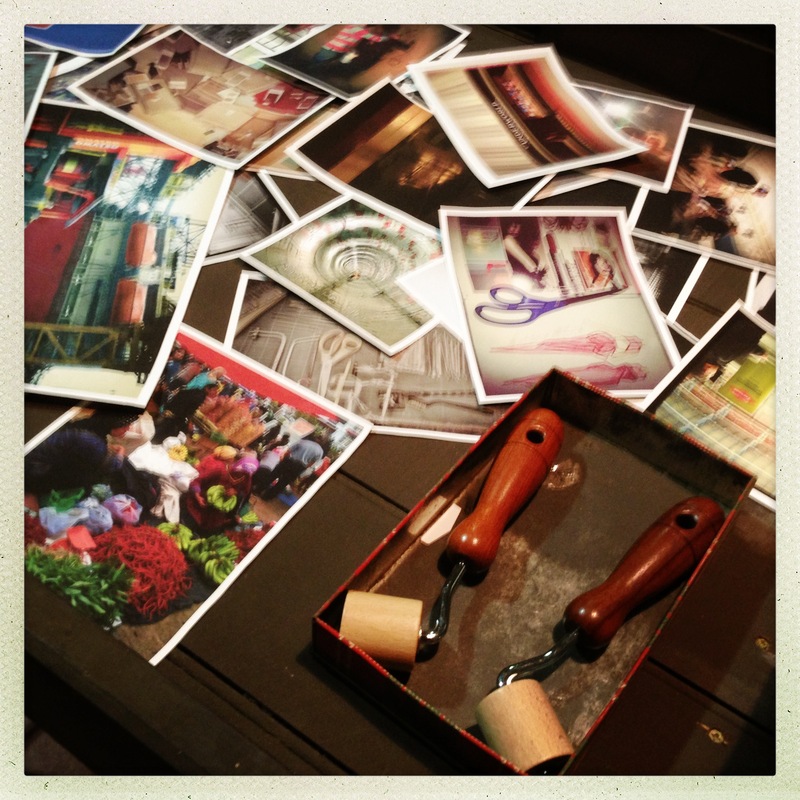 And finally some more paired images. 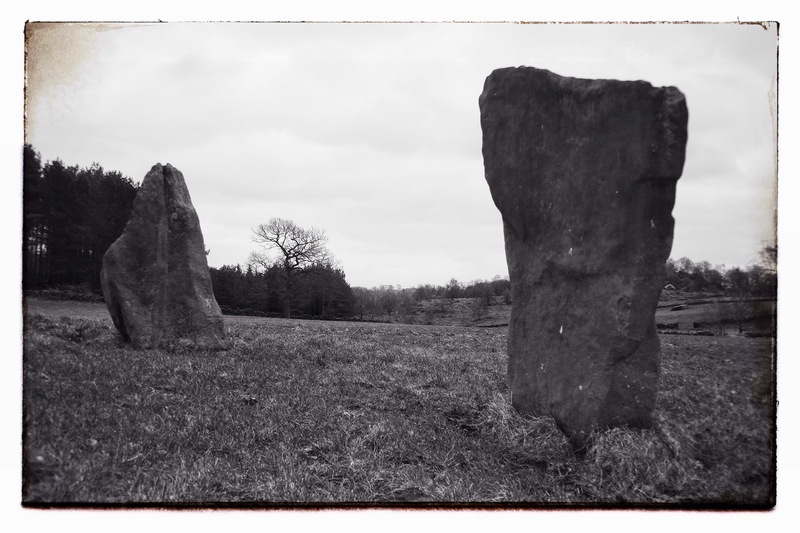 On Saturday we took a road trip out to the White Peak area of Derbyshire to try and find another of its megalithic treasures. The Grey Ladies is a small monument near to the Nine Sisters and Dol Tor. It is located on private land a little distance from Youlgrave. Like the the Sisters and Dol Tor its proposed age is between 3000 & 4000 years. All that now remains are four large up right stones (so really a stone square). 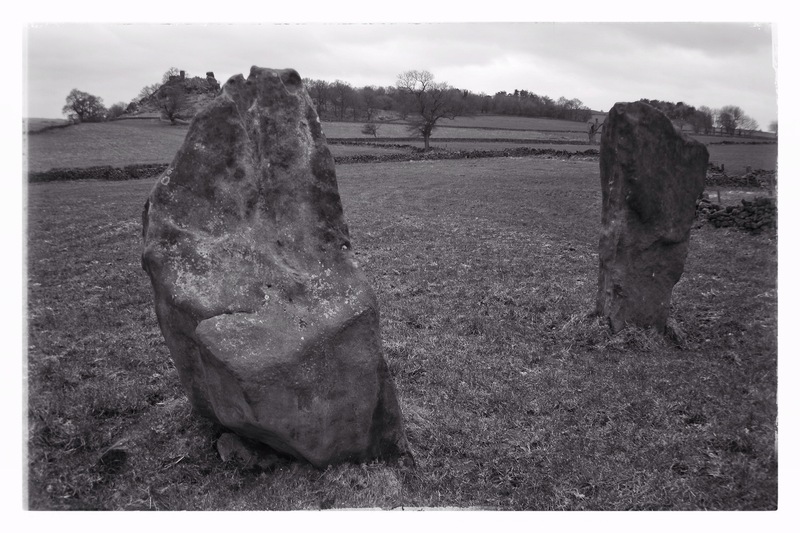 Previous investigations suggest there were once nine stones. Those remaining are a little over 6 foot tall and more imposing than the smaller stones of the Sisters and Dol Tor. 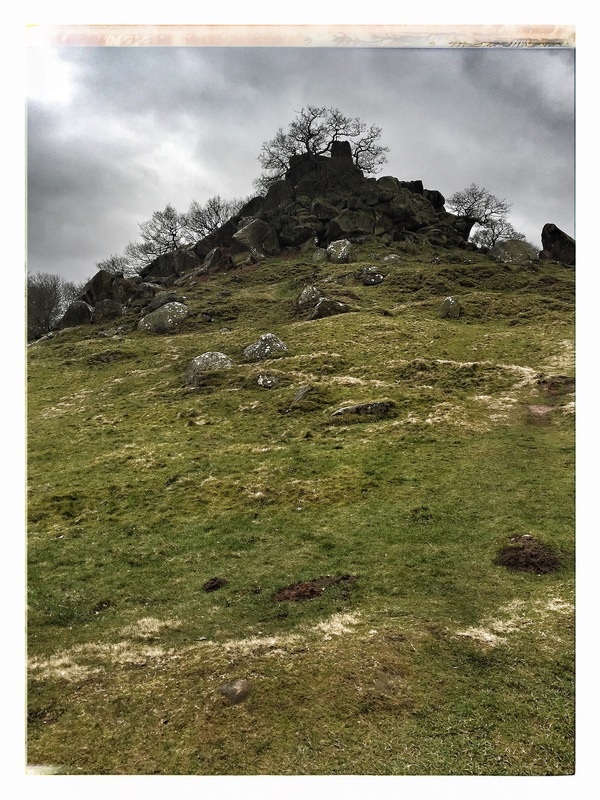 Standing high above the Ladies is the natural rock point of Robin Hoods Stride. From the top of this you can get a good 360 degree view of the local area. 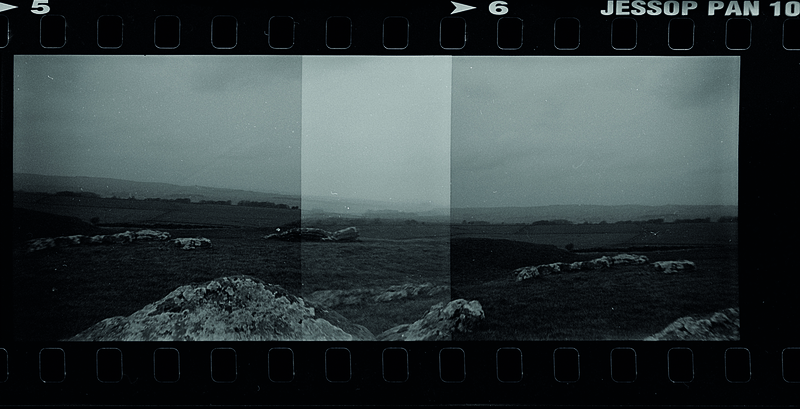 I took a couple of rolls of 120 & 35mm film as well as the digital images below. I’ll post those separately at a later date. As shown above, on the day we visited the land owner had decided to park is trailer in the middle of stones which didn’t afford the best overall views of the stones but I’ve tried to make the best of the situation. 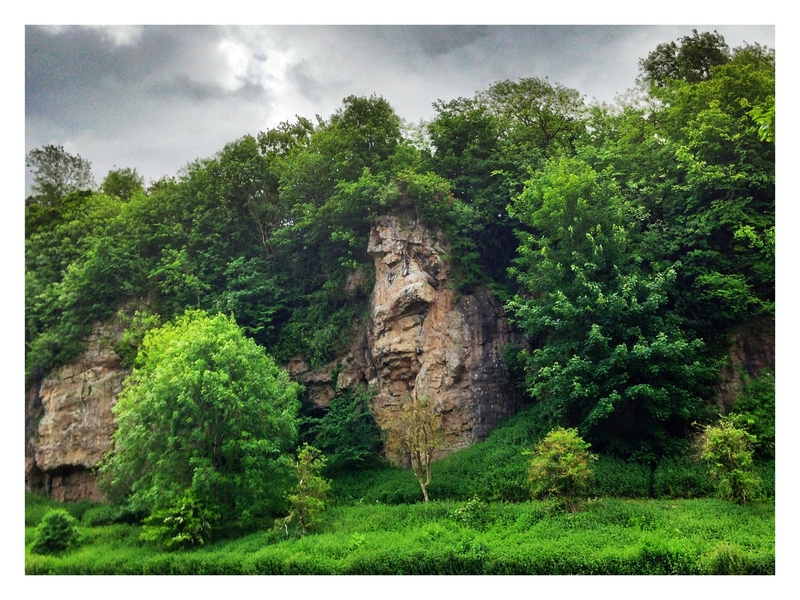 The image above looking through two of the stones and up Towards Robin Hoods Stride. The view below is a panorama from the top of Robin Hoods Stride looking down into the field where the Grey Ladies reside. 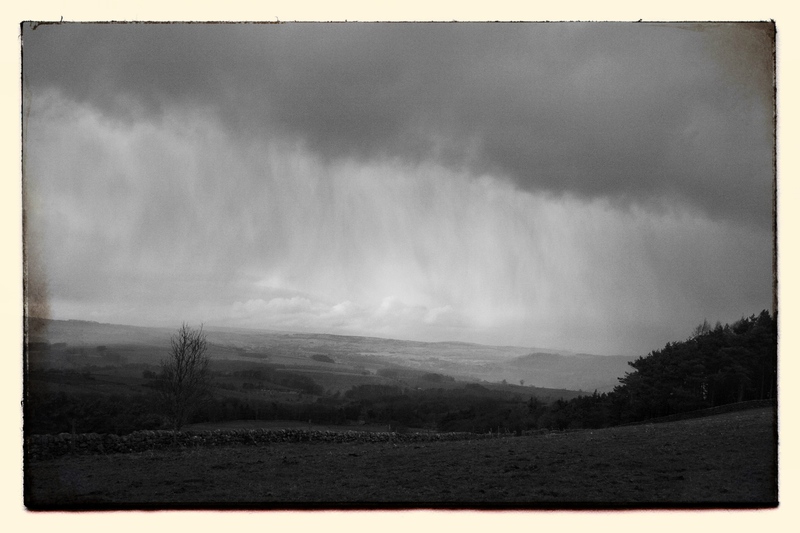 And the image below, standing on the incline leading up to Robin Hoods Stride. 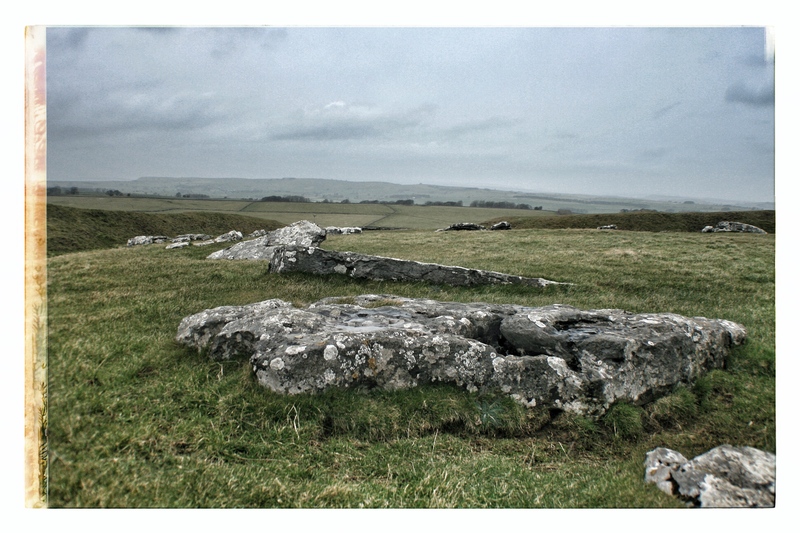 Moving on from the Grey Ladies we went to Arbor Low. This is a large Stone Age henge high on the White Peak with dramatic views across the valley. The site is managed by English Heritage. this Northern Stonehenge has a deep circular ditch and high barrow, its also overlooked by a large Bronze Age buried mound known as Gib Hill. The wind is biting when standing on the high border mound but disappears when you walk down into the ditch. 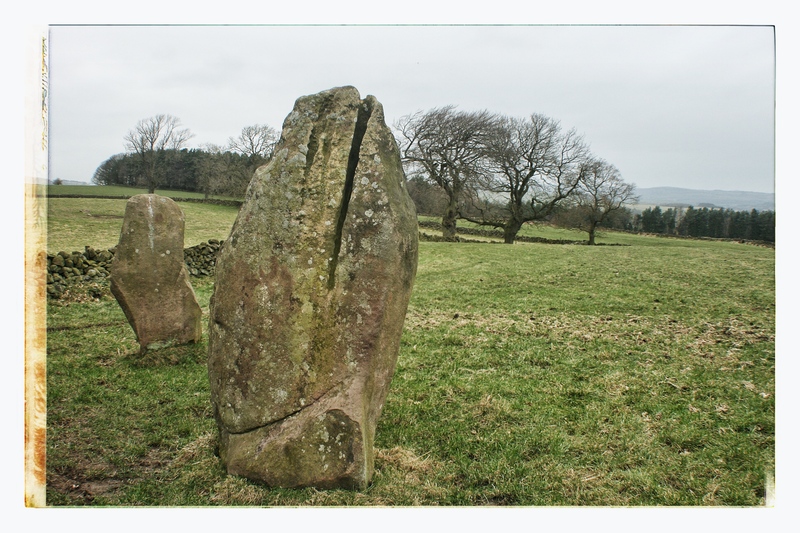 All of the stones now lie flat to the ground but its theorised that they would have been upright and greater in number when it was originally in use. Its a dramatic and impressive site. Below is a panoramic view from the head mound, looking down across the valley below. Two further images here, the second from inside the circle. 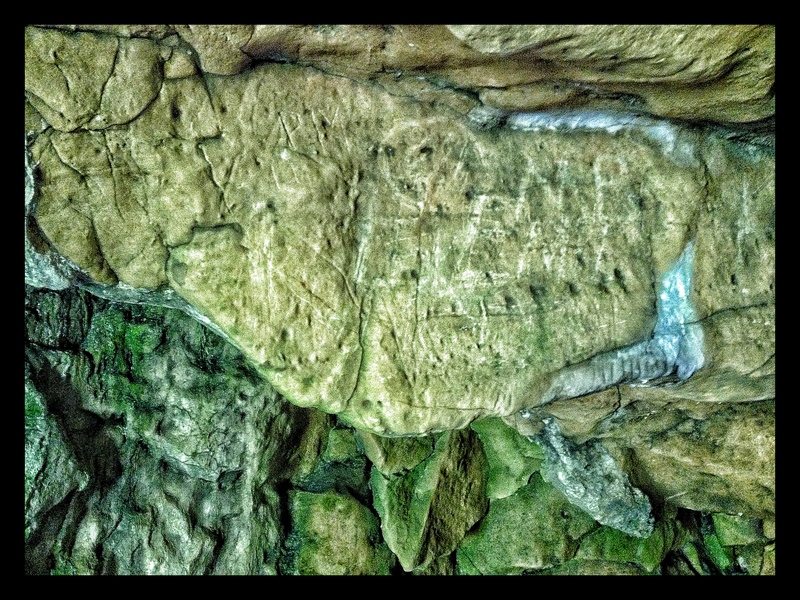 I’m constantly intrigued by the ancient history in the region just north of Nottingham, including the amazing Cresswell Crags which has some of the oldest Ice Age cave markings in the country. The combination of isolated and often unaffected landscape and the effort of our ancestors to produce works of mysterious significance and great permanence resonate with living history. 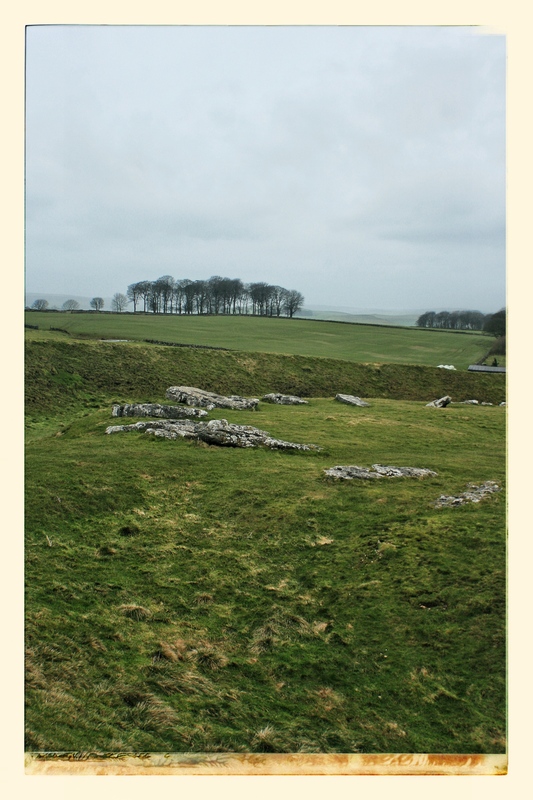 Not long after I did the Nines Ladies / Arbor Low trip last year I heard about another site in the same area. Yesterday I managed to find it….eventually. It might be a plus that these things are not well sign posted as they remain fairly undisturbed. Dol Tor is fairly small, none of the stones are above knee height and it’s off the track. 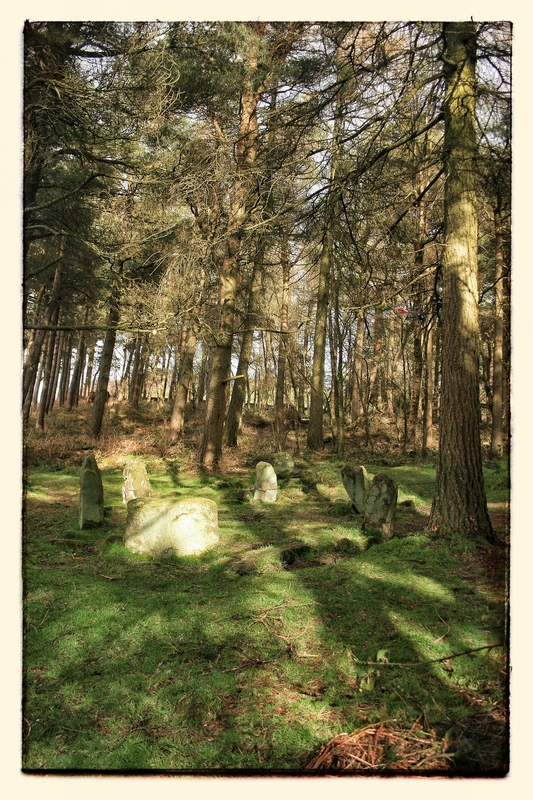 It’s suggested that it is anywhere between 3500 & 4000 years old and sits in a little wooded grove looking out over Birchover and the valley beyond. The neolithic builders of this and the Nine Ladies obviously had an eye for drama and mystery. It took me an hour or so and a couple of cold trails before I found it and whilst there were a lot of walkers and ramblers in the general area none passed by whilst I was taking pictures. The site had been attended recently by what I can surmise were new agers. 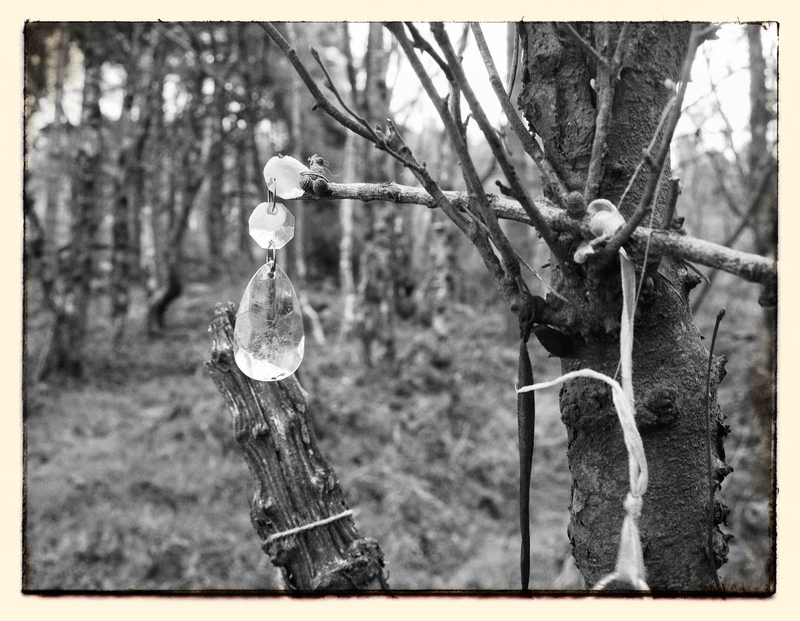 Little tokens and knitted wind catchers hang from the trees and there was recently a fire in the centre of the circle. The bones of small animals can be found in the recently dug earth on the out skirts. I quite like the idea that some people try to keep sites special and use them in ceremonial ways. 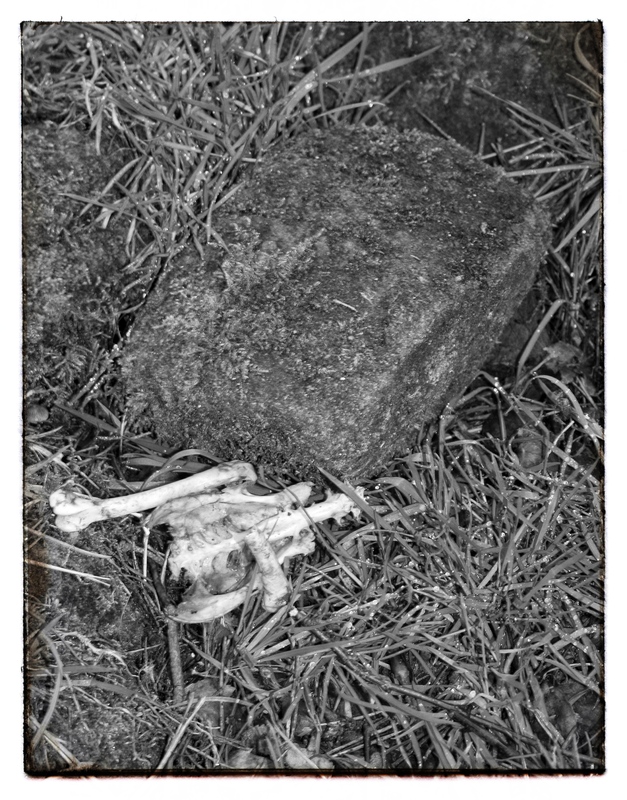 Below are a set of black & white pictures of some evidence of recent activity. I also took some video of this which will most likely appear in the next music video. I haven’t found much information about the site but did uncover the following on an achieved web page. 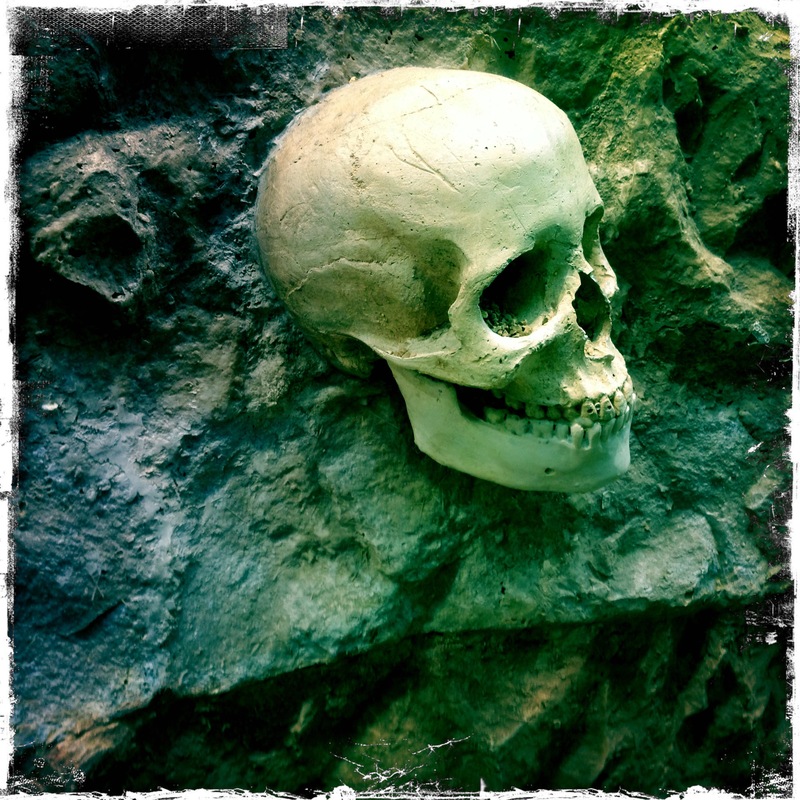 Resurrected here…. 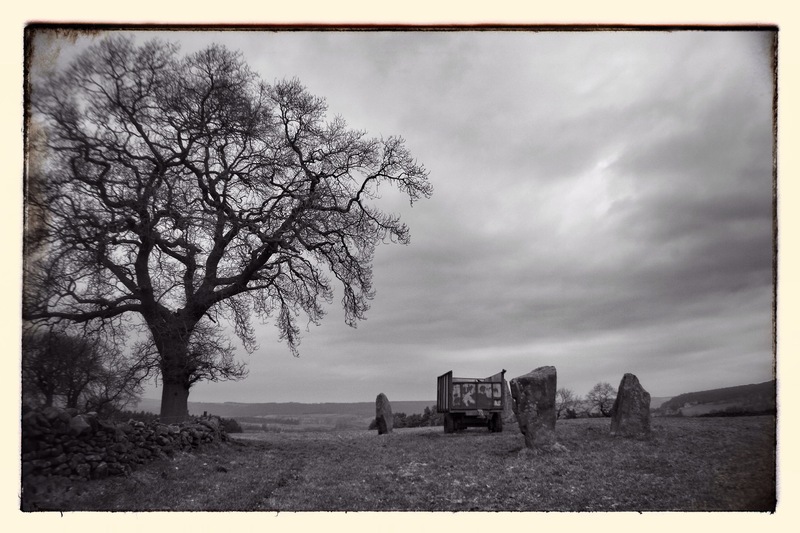 “If the Nine Ladies is a Bronze Age burial circle with the large stone tradition still surviving, then the Six Stones, near the Andle Stone is also a survival of the same tradition, but very much further removed. We have already noted Bateman’s afternoon excavation in 1852. He says, “On passing over the brow of the hill, near the Andle Stone, we noticed a small circle of six stones, four of which retained their upright position, whilst two were prostrate, the diameter being about twenty feet.” After scratching with their pocket-knives they borrowed a spade and cleared a considerable space in the centre where had been dug for the reception of three or four cinerary urns and as many incense cups. 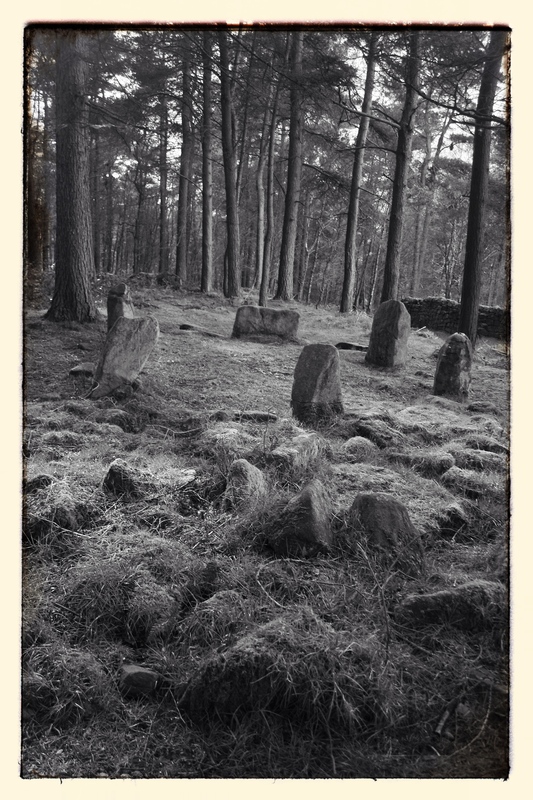 This site having been forgotten and overgrown with heather was rediscovered and completely excavated in 1932 and 1933. 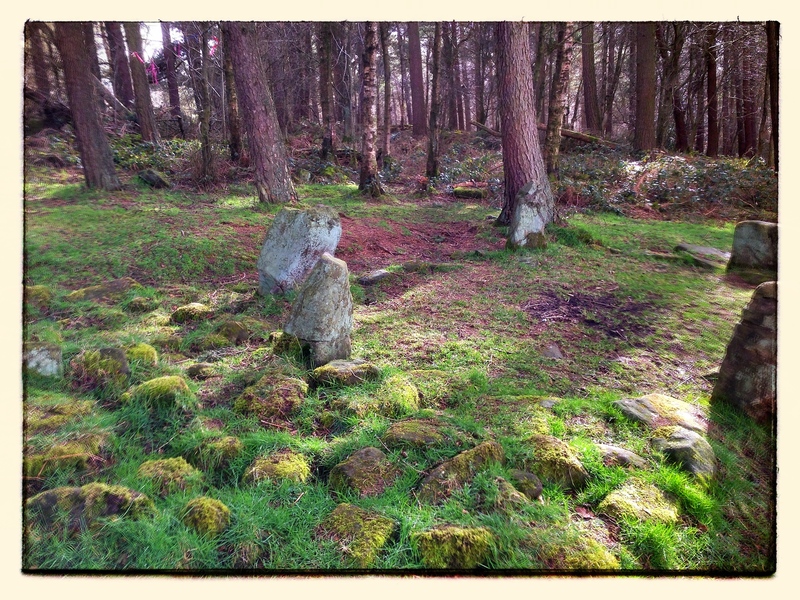 The four standing stones are less than three feet in height but the two fallen stones would have been higher than this. There is no doubt that they have been upright, as their bases, which are pointed, are partly embedded in the ground. It is difficult to say whether the bases were naturally shaped to a point or purposefully fashioned that way. It seems clear that they gradually fell because their bases were not sufficiently deep in the ground. This fact led me to suppose that they were intended to be higher than the remaining four. If so they might show another interesting survival of the old megalithic traditions. The trilithons at Stonehenge slope upwards in stages in this way. With the object of testing this supposition I visited the Nine Ladies and it is certainly possible to imagine that they also show the same slope from one side of the circle to the other. There might even be some connection between this idea and the slope in the long barrows in T13. Furthermore the open end of the horseshoe in the trilithons is very similar to the break or opening one sees in barrows, although these openings are often explained as symbolising entrances or exits like the doorways in hut circles. If you have read this far you deserve to be able to find this little gem. The easiest way is to drive up through Birchover in the direction of Stanton-In-Peak. Just after the village there is road off to the left sign posted Stanton-In-Peak. 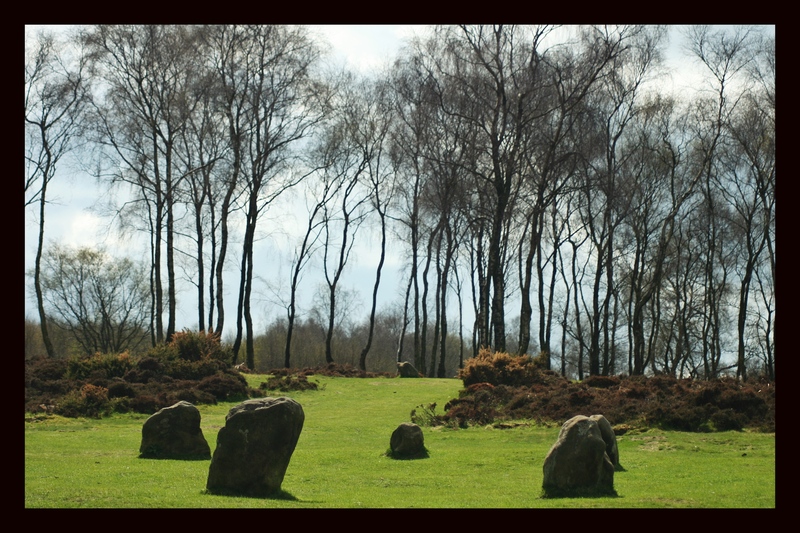 A few hundred yards along on the right is a lay-by and a signed and gated entrance to Stanton Moor. If you carry on for about 50 yards, looking over to the left and down into the valley there is a large natural stone in a field. 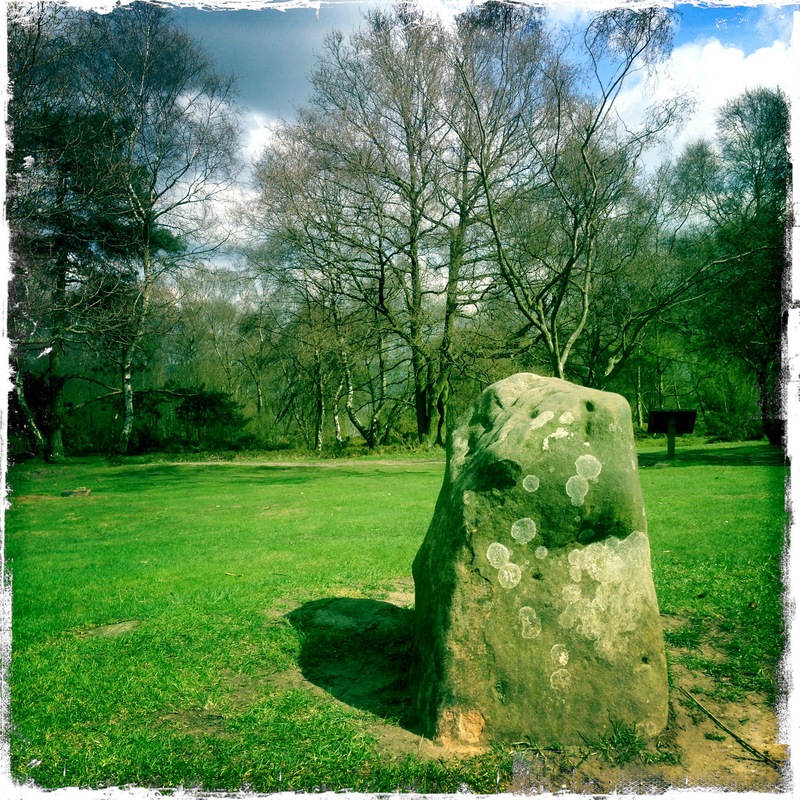 This is the Andle Stone. Walk down across the field passing the stone on the left. Past the stone through the first field and go through the gap in the stone wall. In the bottom left of the second field is a rusted gate. Jump the gate and follow the path down the hill on the left side of the wall with the open valley on your right. A little way down through the tress there is a small English Heritage sign and Dol Tor is just behind this. 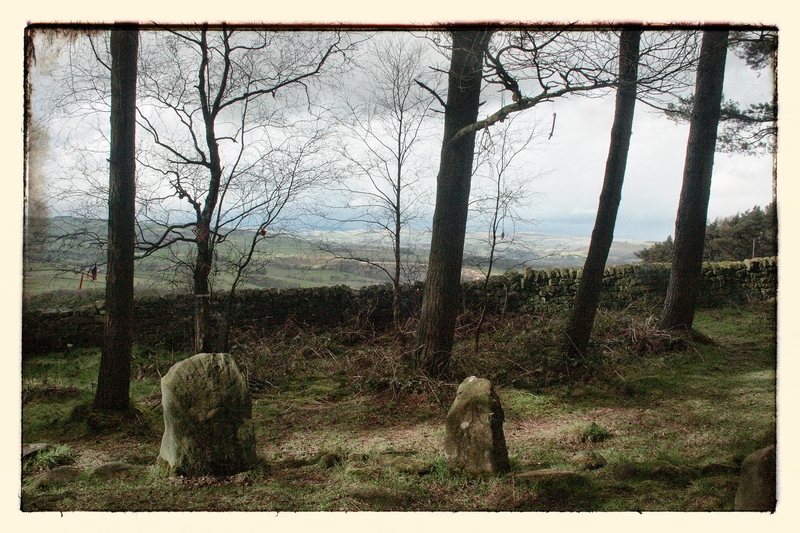 A few weeks ago I posted some pictures from Abor Low, Gib Hill and the Nine Ladies stone circles in Derbyshire. 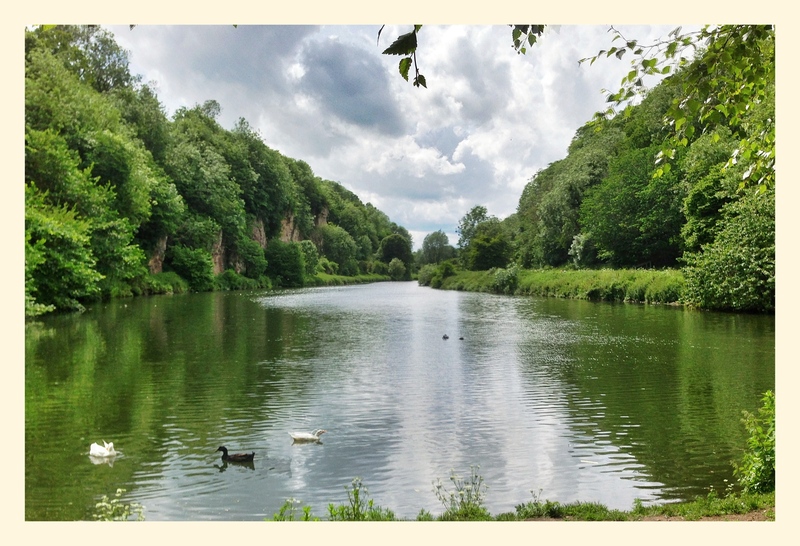 A little while after a friend emailed me and mentioned another small local stone circle and also Creswell Crags. i looked them both up and once I read about Creswell I knew a visit would be in order. So using the excuse of another school inset day and a long weekend I took the two older boys on a road trip. Creswell is a little way outside of Worksop on the Derbyshire / Yorkshire border. Here is a natural Limestone gorge pock-marked with caves and hollows. Whilst the gorge was at some point damned in order to form a shallow lake the hill sides themselves are very much unchanged since their formation. The area has been partially excavated by archaeologists both amateur and professional over the last hundred & twenty years or so but the recent more systematic methods have yielded the more interesting finds. The evidence indicates that the gorge has been inhabited by ancient forna visited by nomadic people as far back as 100,000 years. Finds in and around the caves indicate that area was inhabited by Neanderthals during the Palaeolithic period (60-40K years ago) at the beginning of the last Ice Age and there is also some evidence of early humans form finds of tools and weapons. Towards the end of the Ice age (a little over 12K years ago) there are signs that during the summer months early humans returned to the the area probably travelling north from southern France following herds of reindeer & bison. 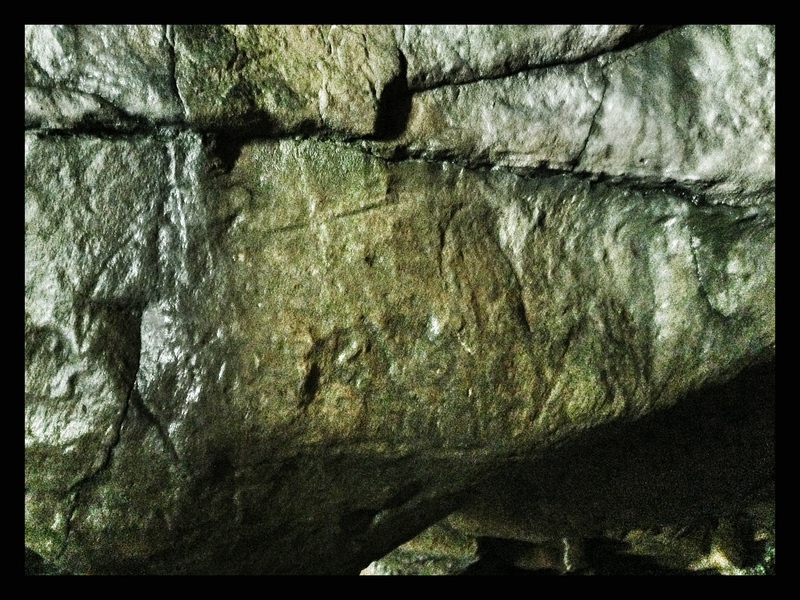 It is probably during this period that the cave engraving were made. These were only discovered on 2003 and archaeologists from various academic institutions continue to search the area and hypothesise on the meaning and derivation of the artefacts. The area is stunningly beautiful and incredibly atmospheric. 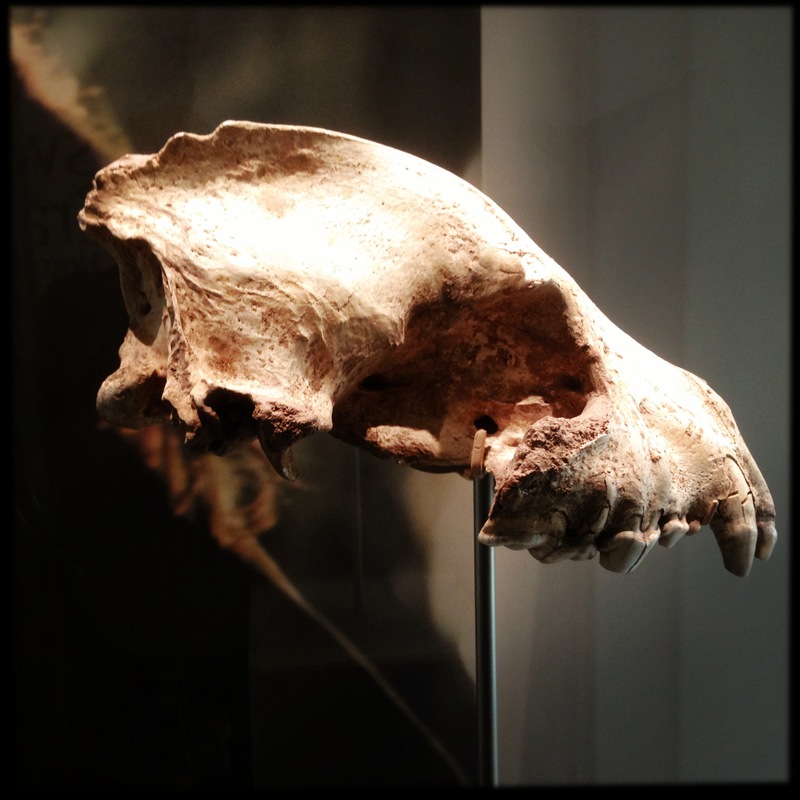 The Creswell Crags organisation have created an impressive visitors centre with a permanent display of artefacts and the local staff lead very informative and enthusiastic tours of the the Ice Age Cave and the Rock art cave. You can read much more about the site on their website here. For my part I took a couple of hundred photographs, some of which you can see here. 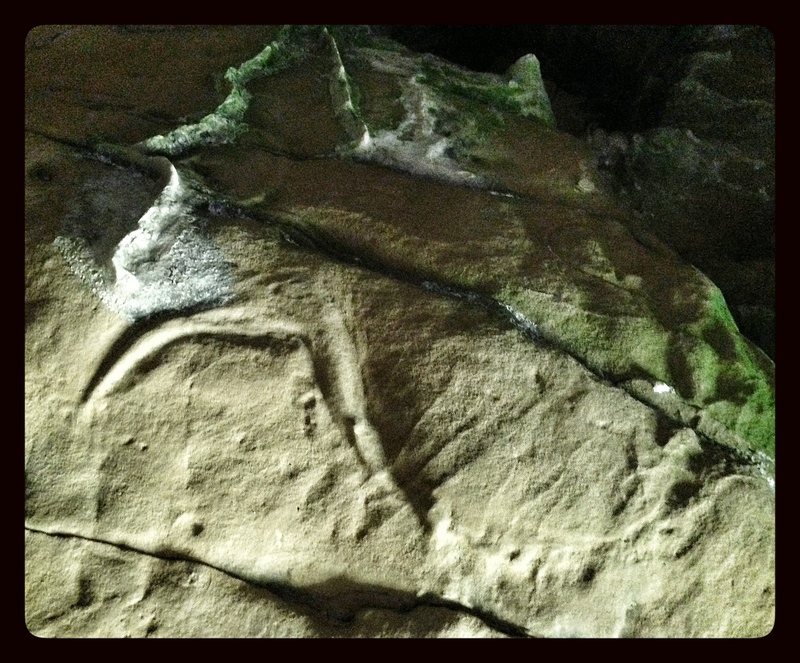 I was particularly stunned by the cave art. This is apparently the only discovered cave art in the UK and bears similarity to images found in areas of France.These are wall engravings and are not pigmented. Despite more recent marks made by visitors prior to their discovery they remain in reasonable repair. 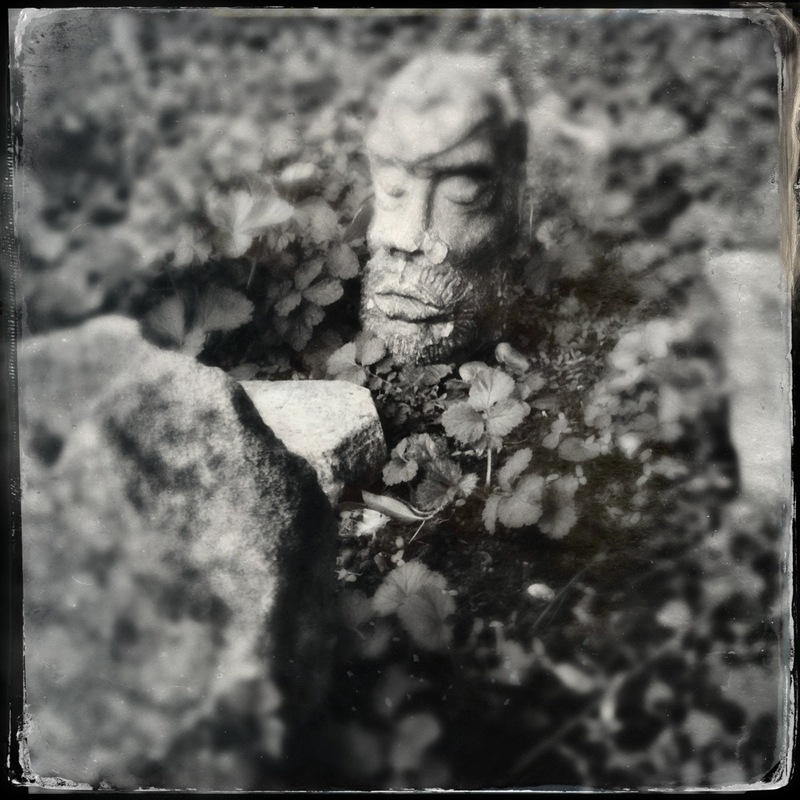 The pictures I took use a Low Light app on my phone and have been edited in Snapseed to try to reveal the images. 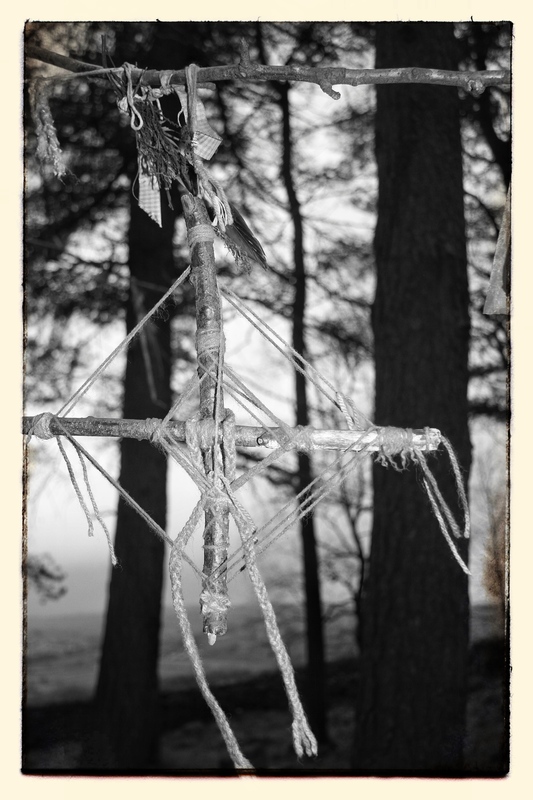 They use excessive sharpening and adjustments in tone and contrast to achieve this. The centre is currently open at weekends only but I very much hope they can get enough interest to attract more visitors and further invest in the research carried out in the caves and surrounding areas. The ticket we bought which was in itself pretty good value for the beauty of the site and organisation and quality of the tours allows for a subsequent free second visit which we will definitely take. To conclude here are two bits of commentary, one positive and one less so. I love ancient history. When I outgrew Marvel comics and read about the mythologies of the Vikings, the Egyptians, the Greeks and and the Babylonians. What I realised is that mythologising is ubiquitous and generally consistent. Stories explain those difficult to understand realities and the there is almost no end to the capacity for invention. Pre history and the surrounding artefacts illustrates the birth consciousness and awareness of the world we inhabit. Some while ago I saw the Cave of Forgotten Dreams, Werner Herzog‘s stunning documentary about the discovery of the Chauvet Cave in France. These artefacts pre date Creswell by about 10.000 years and are stunning in there representational skill. I recommend watching this if you haven’t seen it. It’s one of the most dizzying representations of the human spirit in its purest form you could experience. Before Creswell the most impressive thing I was fortunate to see was Akrotiri on Santorini and my next ambition is to take the boys to see this. One consistent theme between the two is that the Minoans (a late Bronze age culture) was probably matriarchal. One suggestion that came out from the Creswell conversation and that relates to the Chauvet Cave is that, contrary to most illustrations you have ever seen of cave men, it’s not unreasonable to think that caves with art had significance in that they may have been used for birthing. If this was the case, that the ultimate great mystery and event in a life cycle was specific to a particular place, is’nt it equally likely that during the process the midwifes or expectant mothers killed time with creative endeavours, conjuring up the beasts that would feed their children.